Cynsations: Giveaway Package: Robot Zombie Frankenstein! 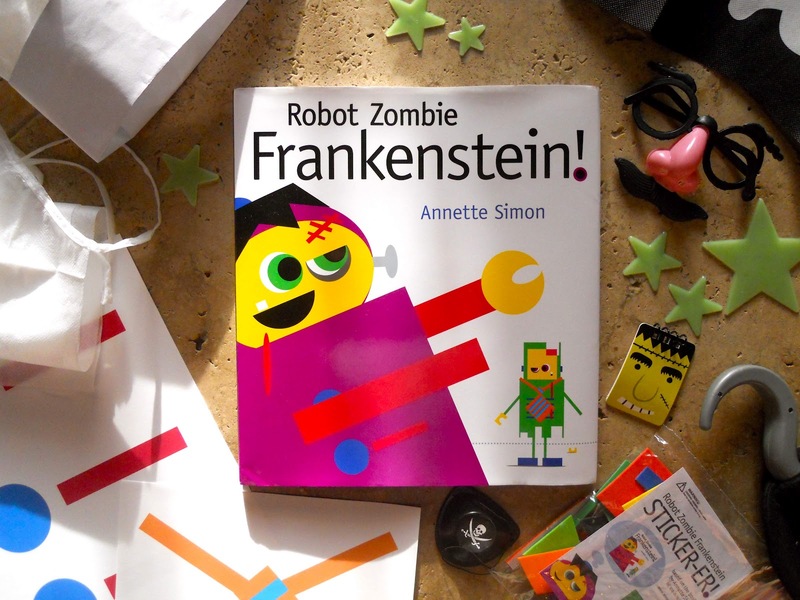 Giveaway Package: Robot Zombie Frankenstein! Teachers! Librarians! Buddies! And other Superheroes-in-Disguise! Enter to win one of two Robot Zombie Frankenstein! prize packages. Each includes: a signed book, plus build-a-bot foam stickers, robot chest panel iron-ons, and other kid-sized story-related bling: a Robot Zombie Frankenstein mini-notebook; a Robot Zombie Frankenstein pirate hat, eye patch and hook; a Robot Zombie Frankenstein pirate superhero-in-disguise disguise; Robot Zombie Frankenstein pirate superhero-in-disguise outer space invader glow-in-the-dark stars; and a Robot Zombie Frankenstein pirate superhero-in-disguise outer space invader chef hat and apron. To enter, comment on this post and include an email address (formatted like: cynthia at cynthialeitichsmith dot com) or a link to an email address. Or you can email Cynthia directly with "Robot Zombie Frankenstein!" in the subject line. Author-illustrator sponsored. Eligibility: North America (U.S./Canada). Deadline: 11:59 CST April 23. Don't miss the Robot Zombie Frankenstein! Support an Independent Bookseller Pre-order Special. Peek: "...receive a just-published, signed, personalized copy, plus foam build-a-bot stickers, robot chest panel iron-ons, and that delicious I-supported-an-independent-bookstore feeling." 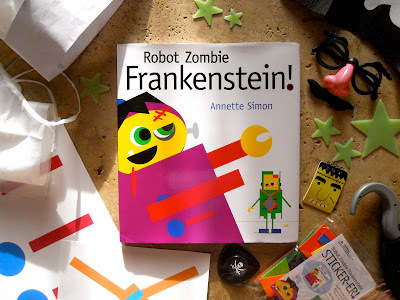 Robot Zombie Frankenstein (Candlewick, 2012) is a spring Indiebound Kids' Next Pick. Happy International Children's Book Day (April 2) from PaperTigers.org. 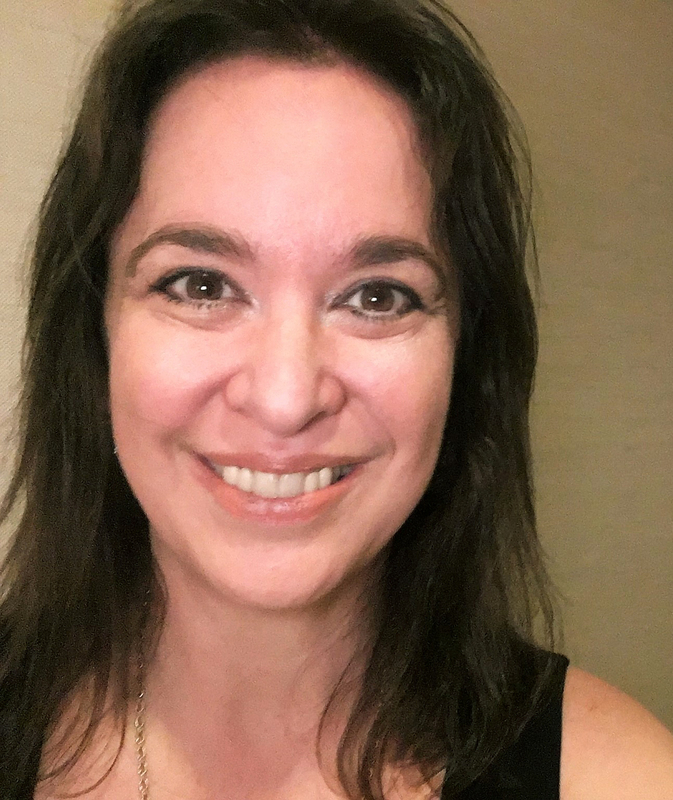 Peek: "Since 1967, on or around Hans Christian Andersen’s birthday, April 2, International Children’s Book Day (ICBD) is celebrated to inspire a love of reading and to call attention to children’s books." How cute! My boys would have loved this when they were little. Now I think the grandkids would enjoy it and I know I would! Thanks for the offer! How funny! I was blogging about robot-themed poems and automatic poetry generators a couple of weeks ago. I'd love to win the book and add it to our robotic literature collection. mrspoems at gmail dot com. Thanks! How very cool! Would love to win this. This looks very fun. Thanks for the giveaway. What a great idea for a picture book. It's so cute! 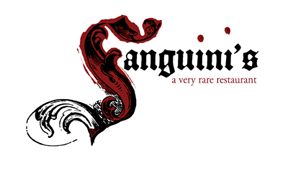 I am totally going to have to check it out! thanks for the giveaway.what a cute book. Can't wait to see this book! How adorable, my kiddos would love this too :) We're going to definitely have to look this one up, thanks! So cool! Thanks for having this giveaway! This is great! My son loves Zombies and it would be fun to share with his class! That looks so cool! Thank you for the giveaway! What an awesome book for a young boy! My grandson would love this; he loves zombies!